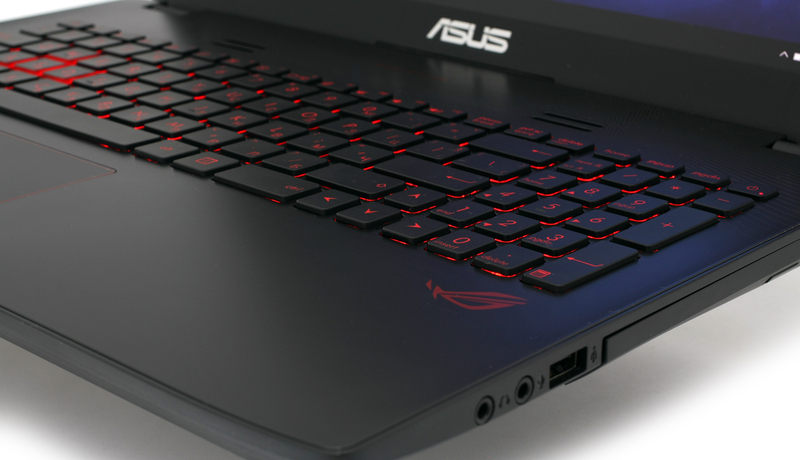 The ASUS GL552 is a budget-oriented gaming notebook, part of the premium Republic of Gamers lineup, that hooked us for its really lucrative price-to-performance ratio. A lot of things changed since the last generation (you can read our in-depth review here). ASUS has bumped up the specs to a new quad-core Skylake CPU – Core i7-6700HQ, that should bring a marginal increase in performance and a little improvement over in the battery department. Also, the CPU is now accompanied by DDR4 RAM and GeForce GTX 960M instead of the GTX 950M, and the latter is really a huge deal. The higher-end GTX 960M offers a lot more horsepower under the hood and, of course, GDDR5 VRAM instead of DDR3 in the GTX 950M. This will result in a great performance leap over the last generation GL552, but the price gets an “update” as well, the GPU being the main reason for that. There’s a saying that with more power comes a lot of responsibility and the same applies here. We were somehow happy with the cooling system presented in the last generation, but mainly due to the fact that the GPU didn’t produce a lot of heat, whereas the GTX 960M will undoubtedly tax the cooling system. This is the second reason we wanted to do a full review of the model instead of just testing the raw performance of the new hardware. Furthermore, ASUS has now changed the IPS panel. The last generation came with Samsung panels, but now the company has moved to LG – the same thing we saw with the G551 when it got an update to the GTX 960M from 860M. We are eager to see how the changes will affect the overall user experience and performance of the machine. There’s nothing much to it here. 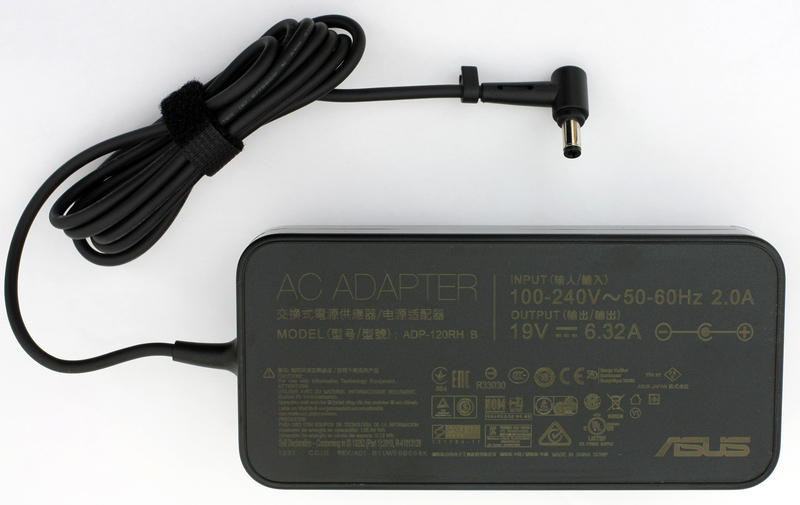 The familiar package with AC adapter, charging cable, user manuals and the machine itself. 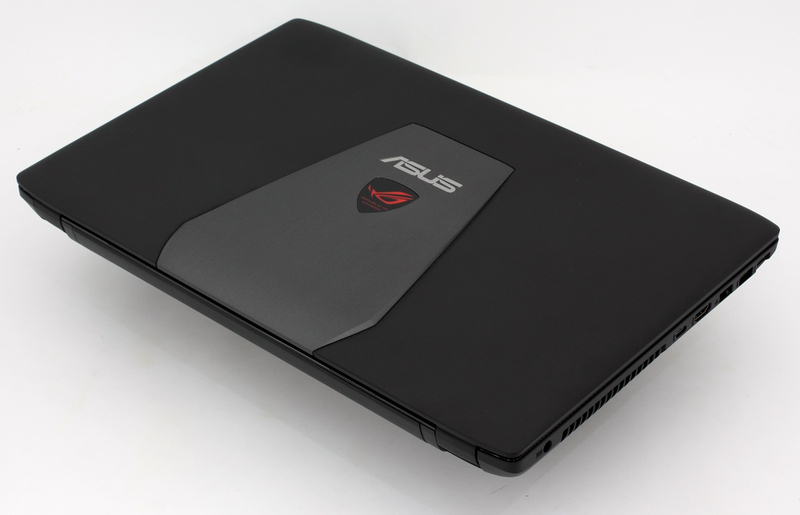 ASUS hasn’t changed much of the laptop’s construction except for the touchpad. While the latter has been improved, the rest of the chassis remains the same as its predecessor. 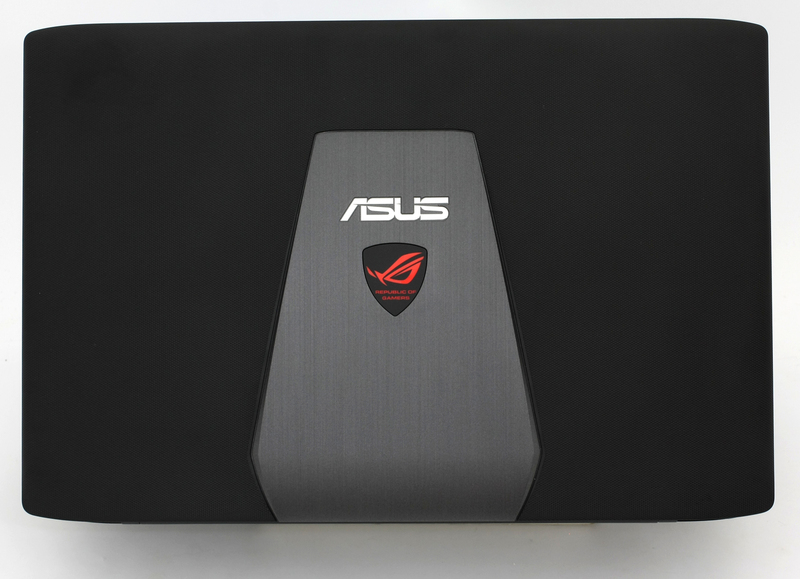 To be fair, we would like to see some aluminum, but given the powerful hardware and the reasonable price, we perfectly understand ASUS and their decision to pursue the best performance/price ratio. At the end of the day, that’s what matters for almost every gamer. 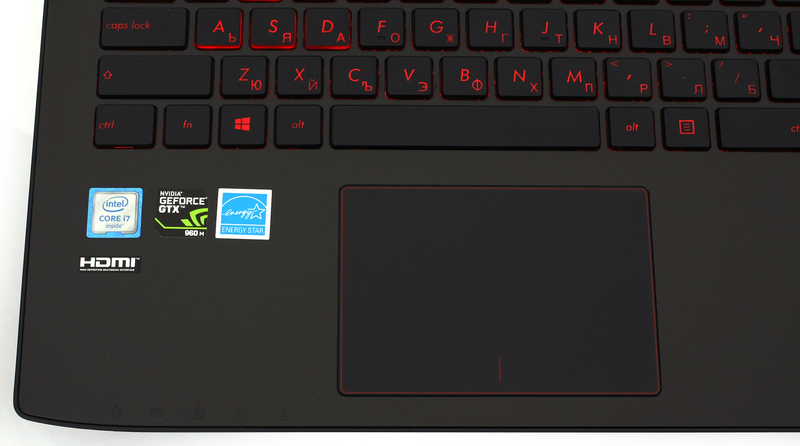 However, if you’re ready to sacrifice the ROG logo (as well as a couple of twenties) in the name of more premium construction, take a look at the new N551, for example. Nevertheless, we should take a closer look at the machine and make sure there’s nothing we missed upon initial inspection. Starting with the lid, we are again presented with hard plastic and the same aluminum-like piece in the center along with the logo. The cover can be easily opened with one hand, which suggest a good hinge design. The bottom part of the notebook has the same service cover as we saw with the earlier version. It gives easy access to the most commonly upgradable components like RAM, storage (2.5-inch HDD or SSD), and an M.2 SSD slot. The latter is a great bonus and we are happy that ASUS hasn’t excluded the feature in this version. The sides of the notebook are also the same with one notable difference – ASUS has added an additional USB Type-C port which can be used for ultra-fast data transfer or as an additional port for an external monitor. It’s located on the left side where you can also see the main exhaust vent, two USB 3.0 ports, HDMI, LAN, and DC charging port. The left has only one USB 2.0 port, two 3.5 mm jacks for microphone and headphones, and the optical drive. 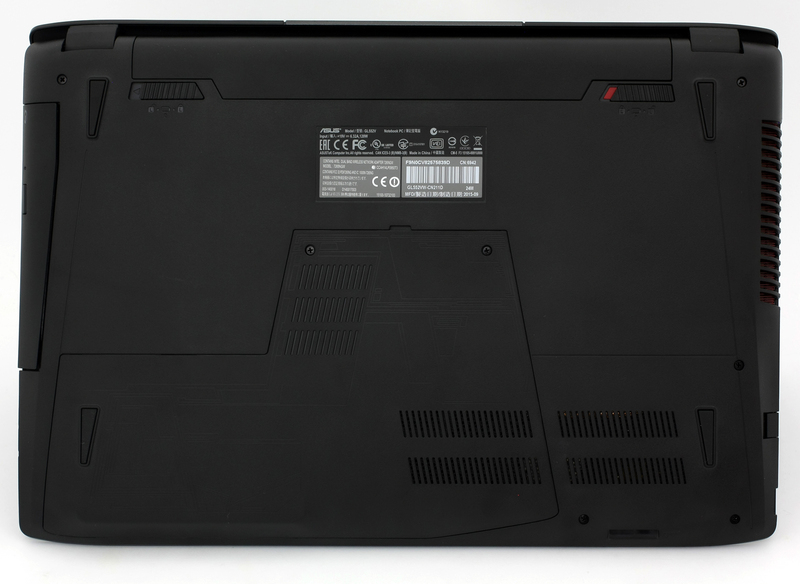 Nevertheless, the notebook’s profile has grown a bit thicker – from 32.4 m to 34.75 mm. To be honest, though, that’s barely noticeable. Moving on to the interior where we are left with the same plastic around the keyboard, with red stripes highlighting the ROG heritage. But we are not exactly satisfied with the rigidity of the material – it bends when some pressure is applied, and it also attracts nasty smudges pretty easily. As for the keyboard, we are happy with the design and LED backlight. Keys appear to have nice feedback and long travel – enough for comfortable gameplay or typing. There are some things worth mentioning, though. The volume keys are too far from the “Fn” button and it’s kind of hard to adjust the volume with one hand. Moreover, ASUS still hasn’t included the much-needed media player control buttons that are a necessity for all game and multimedia-centric machines. Things seem fine otherwise. We are pleasantly surprised by the small, but notable change in the touchpad. It now performs much better than the last generation without any significant wobbling – it’s responsive and “clicky”. ASUS has either changed the trackpad or we had bad luck with the last unit we reviewed, and it should be noted that both machines are retail units, not testing samples. The GL552VW has an IPS Full HD panel (1920 x 1080 pixels), model number LP156WF6-SPB5, manufactured by LG Display and it differs from the last generation GL552JX. The diagonal is 15.6″ leading to a pixel density of 141 ppi and 0.18 x 0.18 pixel pitch. The screen can be considered “Retina” when viewed from a distance equal to or greater than 61 cm. Unfortunately, while the display has awesome picture quality, the panel uses PWM across all brightness levels and it becomes user-friendly only at 100%. Although, the frequency of the emitted light is 20.6 kHz, which is considered to be high enough to greatly reduce the negative impact on human vision. We are quite pleased with the picture quality of the notebook as it provides great viewing angles, vivid colors, high contrast ratio and high maximum brightness. The gamma curve and the color temperature are also pretty close to the optimal so this leaves us only with the PWM as a major complaint, yet the frequency of the emitted light is less harmful to to one’s eyesight. We are quite satisfied with the sound quality. The stereo loudspeakers provide excellent high, mid and low frequencies, and everything sounds clear and deep. The battery remains unchanged from the GL552JX – 4-cell 3200 mAh (48Wh) and we expect similar performance in this department. We weren’t so thrilled with the battery life last time, but we can expect a little bit of improvement due to the lower TDP of the CPU (45W vs 47W) and other power efficient features that the Skylake generation brings. Moreover, the change in the display panel might have a different impact on the battery life as well, but changes should be marginal. The same tests were performed with the same settings – Wi-Fi turned on, power saver on and screen brightness set to 120 cd/m2. This is a significant increase in battery performance – 320 minutes (5 hours and 20 minutes). This result seems to be lower and more appropriate for a gaming notebook – 300 minutes (5 hours). As expected, the gaming test took a toll on the battery with only 118 minutes (1 hour and 58 minutes) of play time. Fritz is a chess benchmark that tests the computing capabilities of the CPU with various chess moves. The Intel Core i7-6700HQ reached 12.467 million moves per second. By comparison, one of the most powerful PCs, Deep(er) Blue, was able to squeeze out 200 million moves per second. In 1997 Deep(er) Blue even beat the famous Garry Kasparov with 3.5 to 2.5. The GTX 960M uses the same GM107 GPU core that we’ve seen in last year’s 860M, but this one is mainly aimed at bumping the notebook’s battery life and adding some extra performance, but that’s not stressed as much. However, the GM107 is clocked a bit higher than last year’s model – 1097MHz of base clock and boost up to 1176MHz. It also supports a resolution of 2048×1536 through the VGA port and 3840×2160 with DisplayPort and HDMI. The “Temperatures” section is a crucial part of our review, especially when talking about gaming machines. We conduct a two-staged test with 100% CPU and GPU load to see how the cooling system handles the extra heat and whether that leads to any unpleasant user experience. While this is good way to assess the reliability of the system as a whole, it’s quite unlikely that the general user would reach such high loads. We start off with the CPU stress test that consists of 100% CPU load for at least an hour. You can see from the image below that the CPU maintains really low temperatures when in idle state – 30-32 °C and the same can be said when operating at full speed – 78-80 °C. The silicon also kept running at 3.1 GHz, which is the maximum operating frequency for four active cores with Turbo Boost activated. The red line on the graph below represents temperatures while the green one represents CPU load. After an hour has passed, we start the GPU torture test as well and we were again pleasantly surprised by the performance of the cooling system. We have to admit that we were expecting very different results due to the shared heat pipes going through the CPU and GPU. Clearly, both chips share the heat as the CPU’s temperatures rose to nearly 95 °C and the GPU was running at relatively high temperatures – around 80-81 °C, but somehow that doesn’t cause reduced performance or excessive heat. 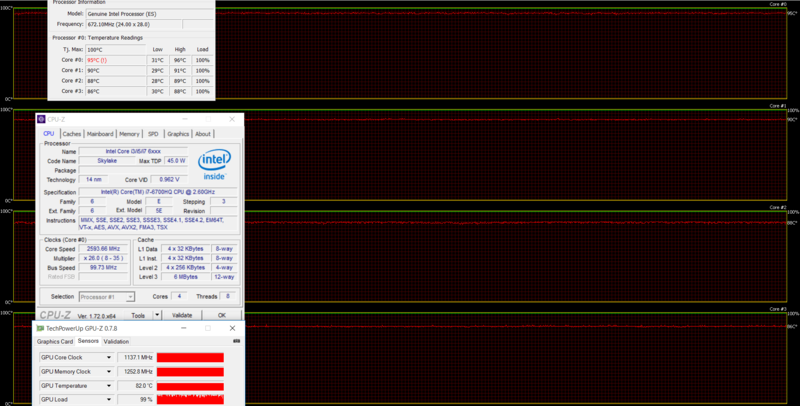 Still, the CPU’s clock fell down to 2.7-2.9 GHz, yet still way above the base operating frequency of 2.60 GHz. Since now we know that the notebook has an effective cooling system that keeps the internals low enough to keep running without problems, we should also look into how it affects user experience. 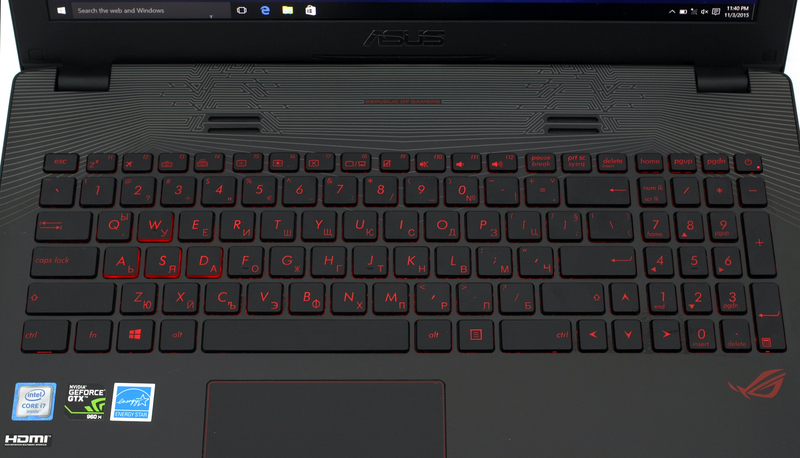 We measured the temperatures on the surface around and above the keyboard, so you can see them on the heat map below. The area where your palms rest remains cool and the highest measured temperature is on the left side of the keyboard – 41.1 °C. 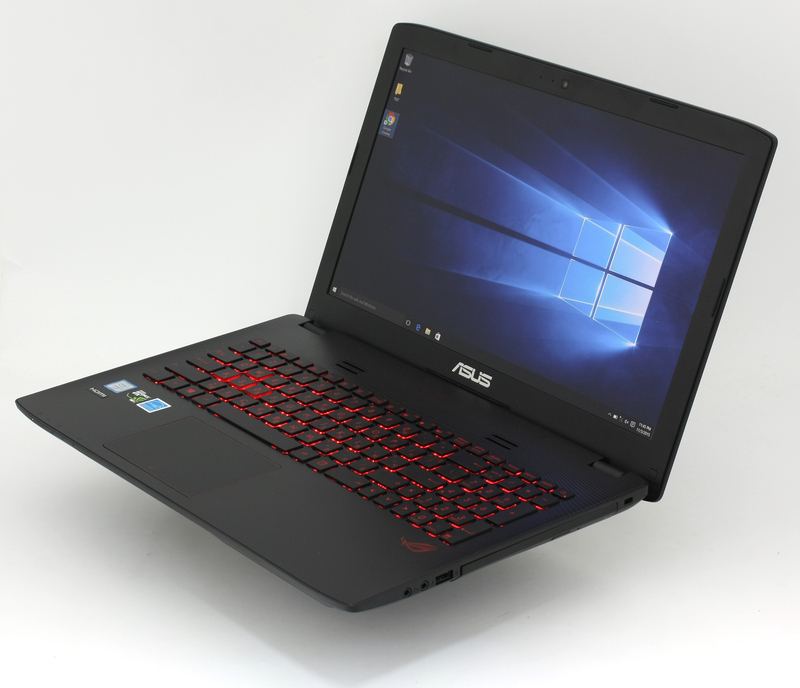 ASUS didn’t change a lot as regards GL552’s design and construction and, as in the previous generation, the focus is on the performance/price ratio. The same cooling system is able to keep temperatures low on the inside as well as on the outside, despite the much more powerful GTX 960M GPU. Also, the keyboard has the same cool tactile feedback, while the touchpad now feels way more responsive and the “wobbling” effect is gone. The IPS panel offers high maximum brightness, wide sRGB color gamut coverage, accurate color reproduction with well-balanced color temperature and tone response curve. However, it fails to deliver flicker-free display that doesn’t cause eye fatigue (except at 100% brightness). At least the frequency of the light emissions is now higher and will only be noticed by the more sensitive users out there. We also welcome the new Type-C port thanks to the Skylake chipset. 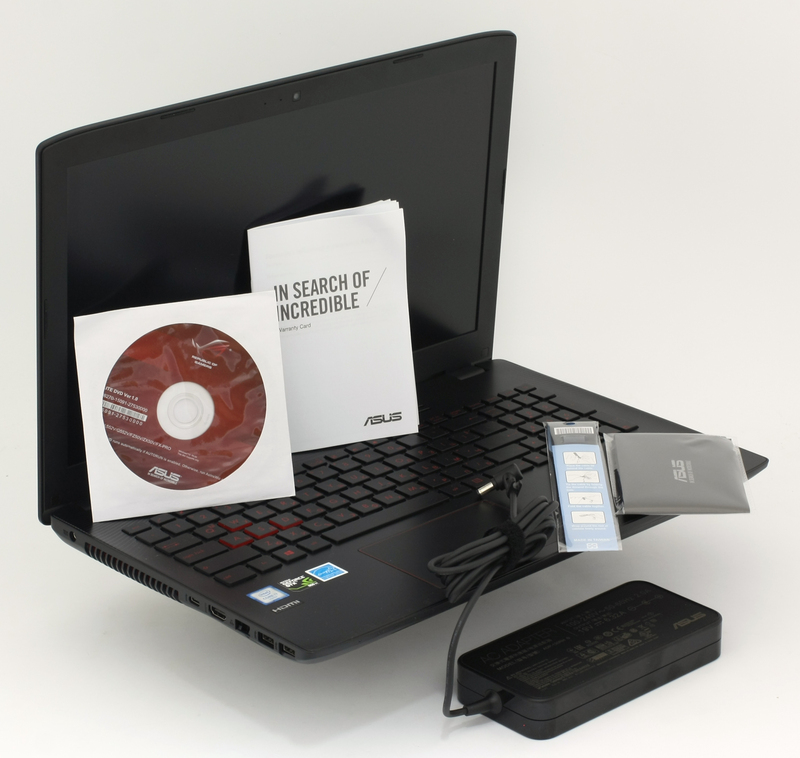 It allows super-fast data transfer and includes support for an external display. 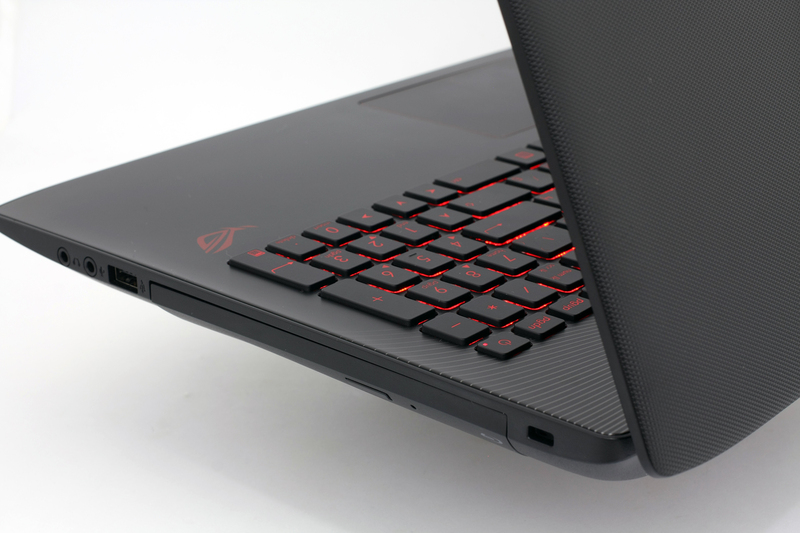 With that being said, we can conclude that the new version of the ASUS ROG GL552 is a much better bargain than its predecessor, despite the significant increase in the price tag. slightly confused here, does that mean I can use DDR3/DDR3L or DDR 4 Ram on this laptop? The slots work only with DDR4. How do you compare this one with aspire nitro v15? Costco sells a version of this laptop that has 15.6″ 4K Ultra HD (3840 x 2160) Display and I can’t find any information on this panel. Is it IPS or TN, matte or gloss, what is the quality of the display? They don’t list the extended model number just GL552VW. From what I can tell it is only available at Costco. Hello Sir, some ecommerce sites are offering this laptop in just 83k while most of them are offering it for 10k more .So would there be any problem in going for cheaper deal.Would there be any difference between the two?Thanks in advance!! This might be due to some faulty units but as you can see from the extreme tests above, the surface didn’t go hot even though the CPU and GPU reached high temperatures. We already did that and we stand behind our testing method. Temperatures around 35C are really unacceptable when the notebook isn’t on full load. Our unit didn’t get uncomfortable during normal gaming or during normal use. 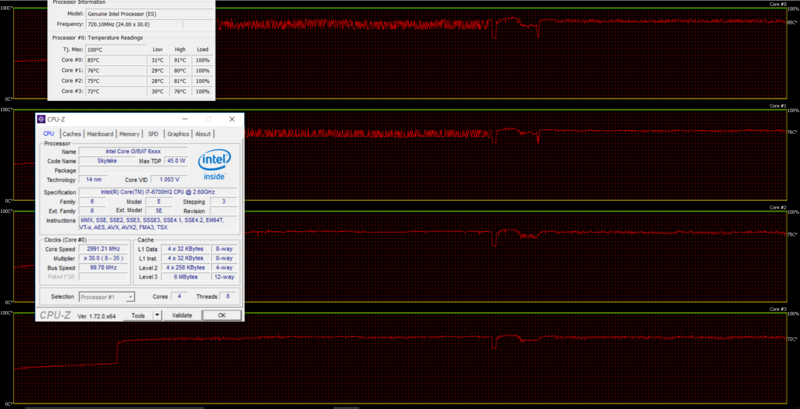 Temps did go high only when we ran the CPU and GPU stress tests. Are you sure your unit isn’t faulty or that your cooling system doesn’t need some kind of maintenance (cleaning and changing the thermal paste)?